Printing at home can be quite expensive. Generally, people are concerned about ink costs. Unless you’re in need of a heavy-duty printer or you’re concerned with getting the best picture quality possible, a budget option is generally a good idea. However, numerous companies like Epson, HP, Canon, among others are making printers for years. These printer brands offer plenty of top-notch printing features which attract people the most. People always look for the most affordable printer which offers multiple connectivity options at an affordable rate. Besides, if the setup process of printers is user-friendly and easy, then obviously people will always opt for it. Features like Apple AirPrint, Google Cloud Print and NFC-based connectivity are extra benefits if your printer comes with a price tag around 350 AED. So, we round up the best of the best cheap printers that you can choose for your home easily which even won’t break the bank with both hardware and ink combined. In this article, we are chosen the printers on the basis of value for the price, critics review and collection of their innumerable features. So stick through this article as we are going to explore such printers which provide the best user-friendly features in a low price tag. There are many cheap printers available on the global market but there is a question before choosing the most affordable. You have to be concern about which printer model provides more features to the demanding users at a budget-friendly rate too. So, here is a quick guide for you. This Canon Pixma MG6820 inkjet all-in-one printer is the best among all the cheap printers available in the market. It lets you easily print, scan and copy with a powerful, network-capable feature. You can avail this printer only at 477 AED which is quite reasonable. In return, it offers two built-in wireless LAN adaptors, a high-speed USB connection, and memory card slot to connect to your printer with the network. The easy-to-use 3-inch touch screen makes setup easy, and the printer comes loaded with the Canon App, giving you powerful document solutions at your fingertips. This Canon printer is able to take on whatever your office can throw at it, this powerful all-in-one prints up to 15 IPM. You can even prepare office documents with ease and convenience using this inkjet printer. Combining fast output with high-quality printing, this wireless printer offers reliable and versatile functionality. The sleek form and high-polished black finish lend an elegant modern appeal to this multipurpose printer. The integrated tank ink system provides high-capacity printing without compromising quality, affordability or convenience. Moreover, it is ideal for office or home sharing, this all-in-one Printer is equipped with built-in wireless LAN connectivity, hi-speed USB ports and memory card slots. The Canon PRINT app allows you to print and scan photos or files directly from compatible mobile devices and cameras. 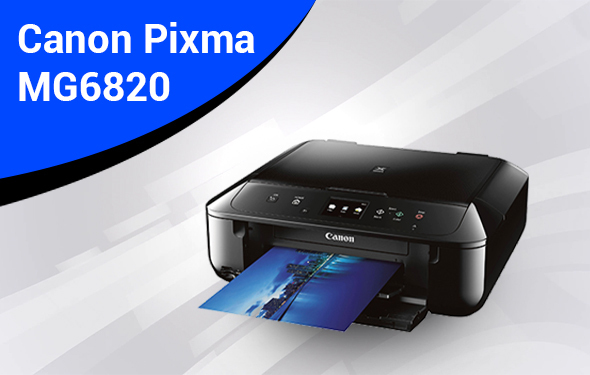 Canon Pixma MG6820 is specially designed to further enhance your printing experience and make it even faster and more convenient. This Canon printer comes with the cloud print function that lets you print directly from select online cloud services and some social media websites. It is built for convenience and efficiency, this printer comes equipped with five individual ink tanks for low-cost, hassle-free printing. Offering high-quality output with each print, this printer ensures huge savings in ink maintenance as it allows you to refill only the color that needs replacement. It is another most affordable printer among all the cheap printers across the globe, as it comes with a low price tag of 257 AED. This compact all-in-one printer improves the quality of your printed documents. 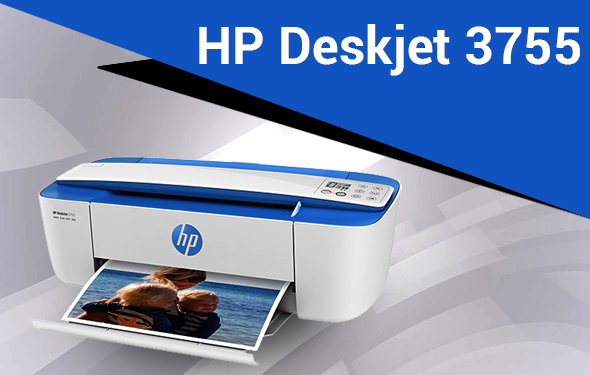 It also offers the HP thermal inkjet printing technology. It takes 15 seconds to print a documented page. It means this HP printer is able to print eight pages per minute which is unbelievable. The printed documents look detailed and sharp with the resolution of 4800 x 1200 dpi. This printer is the best for printing professional documents and photos. The scanner integrated with this inkjet printer offers Scroll scan technology to digitize records quickly. It also comes with a built-in copier which can be able to reproduce a huge amount of documents. With the integrated Wi-Fi connectivity, this HP Deskjet model helps to print and scan at ease through the Cloud printing services. It is attracted by the people as it can fit anywhere in a small room. This HP printer is ideal for a small workplace. Dimensions: 5.55″H x 15.86″W x 6.97″D. It can fit in a little space. Excellent HP printer that is easy to set up and easy to work with. Very high print and scan quality. Fax. Prints through the cloud. Color photo and back & white text page printing speeds seem average to slow. Slow copying and graphics printing. High cost per page relative to other inkjets. 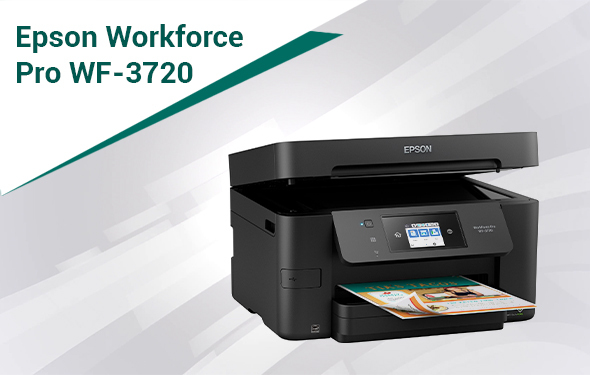 Top-notch and cost-effective features give Epson Workforce Pro WF-3720 a place in the list of cheap printers. Its price is only 330 AED, but this printer is worth for fax, printing, copying and scanning. It offers a 2.7-inch color touch screen to select the right functions. So, you don’t have to use any physical buttons. It can easily fit on a small printer stand and desktop. To produce vivid and crisp documents, this printer uses DuraBrite Ultra pigment ink. Moreover, you can easily send your scans and fax by the automatic document feeder. This printer offers the features of built-in Ethernet and Wi-fi connectivity by which you can easily print photos and documents from any devices. This Epson printer offers efficient and fast operation. It has a print speed of up to 20 pages per minute for monochrome prints and 10 pages per minute for color documents. This Epson Workforce WF-3720 offers Precision Core technology which takes the printing quality to new heights. This technology helps to control the color contrast and line definition. It has features like automatic duplex mode and auto document feeder by which you can enjoy the high-resolution graphics, pixel-perfect, photographs and reports. Flatbed scanning of this Epson printer allows you to upload scans directly to your email or cloud. The 2.7-inch color LED screen helps to make the operation easier and you can get numerous functions and options in it. You can easily set up this Workforce Pro printer with USB and Ethernet ports. This printer especially increases its speed of printing when it is connected through its Wi-Fi, NFC channels or Wi-Fi direct which reduce the use of superfluous cables and provides greater flexibility. You can easily print your documents from your smartphone or other devices when you’re not connected to the office network or other Wi-fi. The setup procedure of Epson Workforce Pro WF-3720 is also easy and quick. Great printing, scanning and copying quality. Ink costs are too high. 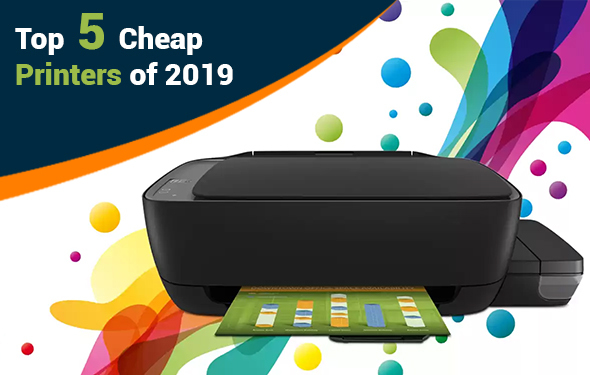 This compact printer comes also with a very low price tag of just 330 AED which is cost-effective and one of the cheap printers of 2019. It fulfills the needs of printing, fax, copying and scanning. It offers a 1.8-inch color screen by which you can easily manage the settings of your printer. This printer also supports two-sided printing and provides an automatic document feeder. It has a speed of 12 pages per minute for black and white printing and 6 pages per minute for color printings. On the context of the connectivity, it offers an Ethernet port, a wired tether to your PC, Wi-Fi direct and Wireless N networking for a wireless connection. It also supports Google Cloud Print, Apple AirPrint and several other devices. 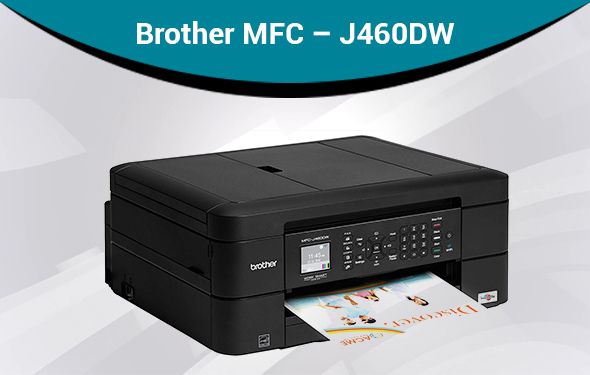 This Brother MFC- J470DW offers some attractive and top-notch apps for your mobile devices. You can easily print images from Dropbox, Google Drive, Facebook and other cloud-based services. It has some built-in apps which help to add effects to the prints and create editable Office documents from a scan. It is the cheapest printer in this cheap printers list as its price is only 165 AED. You can remotely and quickly complete your large printing tasks with this monochrome laser printer. The integrated Ethernet and Wi-Fi connectivity offers convenient remote printing from office computers and smartphones, while the USB connectivity lets this laser printer accept tasks from flash drives and compatible devices. Besides, this printer is suitable for use in offices, the LCD display and streamlined interface offer easy operation. You can print even more efficiently with this Dell Mono Laser Printer. This wireless printer eliminates the hassle of cable usage and management, keeping your workspace clutter-free. Wireless connectivity means you can print on the go, while the printer’s 32-megabyte memory makes document management a snap. 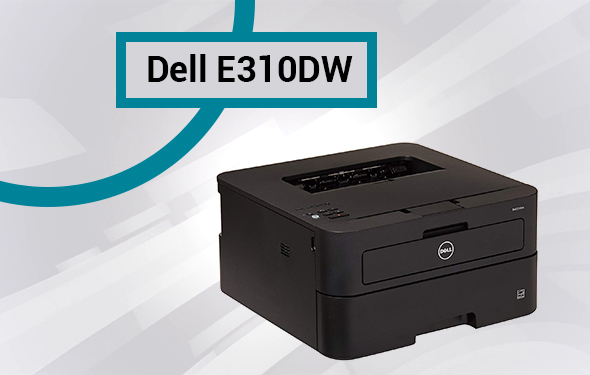 It includes supporting up to 10 users, the Dell printer boosts office productivity, and its laser technology ensures you get crisp fonts and accurate lines every time you print. The integrated 32-megabyte RAM allows for the queuing of projects so multiple users can complete printing tasks easily. It is able to produce up to 26 prints per minute and up to 10,000 pages a month, this printer enhances your office productivity. The Wifi and Ethernet connectivity allows you to print from your smartphone or iPad, while the USB 2.0 slot lets you print directly from your USB device without needing to hook up the printer to a computer. The printer’s tray accommodates 251 sheets, allowing more time before replenishment. It is complete with an intuitive LCD display and the laser printer is easy to set up and control. In addition, the laser technology allows the printer to produce sharp black texts at dramatic speeds, while two-sided printing offers extra convenience. Meets or exceeds UL/cTUVus, FDA, CB, CE, R&TTE, C-tick, A-Tick, Nom, Semko, ICASA IEC60650-1, CIPSR22,24, FCC, VCC, RoHS, WEEE standards. Supports Ethernet, Wi-Fi, and Wi-Fi Direct. Text quality is subpar for a monochrome laser printer. Hence, from the above discussion you are aware of the best and reliable 5 cheap printers that are available in the global market, so, before choosing it, make sure that all the features are available that can serve your purpose. The companies offer the printers at a very low price to attract the people, but sometimes the printers don’t provide good features or will be unable to work after a year. So, we have discussed some cost-effective and cheap printers, as you can choose your printer easily before buying it. 1-Which printer has the cheapest ink? 2.Why are printer inks so expensive? Sometimes companies offer cheap printers, but the cost of the ink is too much expensive. Inkjet printers are often very cheap. That’s because they’re sold at cost, or even at a loss. The manufacturer either makes no profit from the printer itself or loses money. The manufacturer will make most of its money from the printer cartridges which you buy later. 3.Can cheap ink damage printer? While compatible printer ink cartridges can contain more ink, they are mainly water-based. Genuine ink cartridges, despite some criticism from consumers due to higher prices, do offer longevity and will not damage your printer. The warranty of your printer may be affected if you do not use branded consumables. 4.Do Canon printers come with full ink? Yes, the Canon new printer will likely come with new cartridges. But these printers probably won’t last very long or replacement of cartridges may be expensive. Inexpensive printers usually come with higher priced cartridges. For an even better deal on ink, consider buy LD Brand compatible cartridges. 5.Can you use HP ink in a Brother printer? You can use Canon/HP/Epson type inks in all Epson’s and Brother’s printers, but for Canon/HP you will have to use Canon or HP types of ink. So, Piezo print head based printers (Epson/Brother) can actually deal with most types of inks, as the print head doesn’t boil the ink.